William J. Meurer was elected to the Board of Directors in October 2000 and is Chairman of the Audit Committee and a member of the Nominating and Corporate Governance Committee. Previously, Mr. Meurer was employed for 35 years with Arthur Andersen LLP where he served most recently as the Managing Partner for Arthur Andersen's Central Florida operations. Since retiring from Arthur Andersen in 2000, Mr. Meurer has been a private investor and consultant. 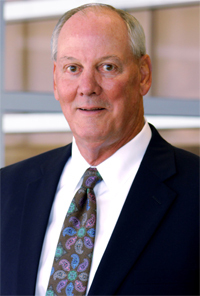 Mr. Meurer also serves on the Board of Trustees for Lifelink Foundation, Inc. and as a member of the Board of Directors of the Eagle Family of Funds.